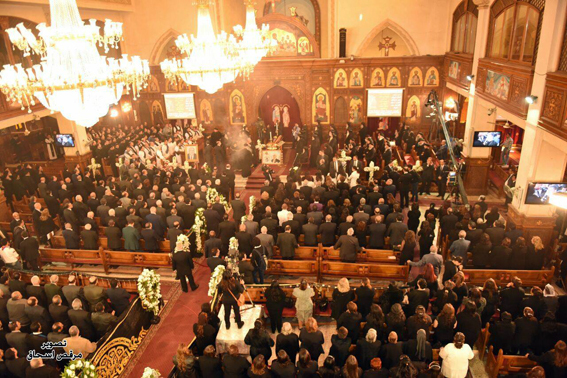 A funeral service was held yesterday, Saturday 16 December 2017, at the Church of the Holy Virgin and Anba Athanasius in the eastern Cairo suburb of Nasr City, for the prominent Copt Tharwat Bassily who passed away in Chicago on 5 December 2017. 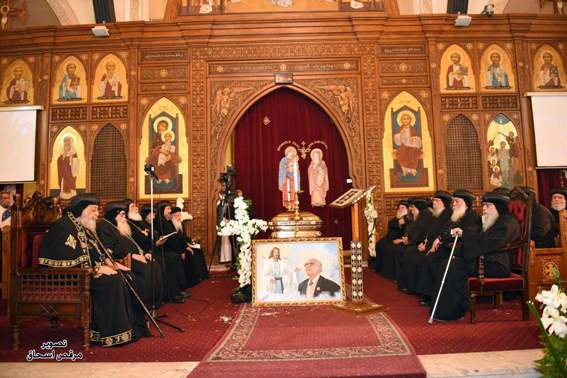 A funeral was held for him on 9 December in Chicago at the church of the Resurrection. Anba David, Coptic Orthodox Bishop of New York and New England, presided over the service. Tharwat Bassily (1940 – 2017), PhD, was an Egyptian pharmacist and businessman, Chairman and CEO of Amoun Holdings, and owner of CTV (Coptic TV) channel. He was born in Minya, Upper Egypt, and grew to be a prominent member of the Coptic community; he was Undersecretary of the Coptic Orthodox Melli (Laity) Council, and founder of CTV (Coptic TV) in 2007. A pharmacist by profession, Dr Bassily founded Amoun Pharmaceutical Company S.A.E. in the early 1990s. The company rose to be one of the leading drug makers in Egypt, and was acquired in 2006 by a consortium of international investors. Dr Bassily was a philanthropist who sponsored a large volume of charity work. He was a well-loved, respected man, honoured by all who knew him. He leaves behind a wife, Isis Fawzy Shenouda; two businessmen sons: Ilia who is also a member of the House of Representatives, and George; and two daughters: Nevine and Mona, both are married to men in the business field. The body of Dr Bassily was shipped to Egypt where, according to his will, he wished to be buried. A special tomb was prepared for him at Madinet al-Salam (al-Salam city), northeast of Cairo, next to the church of Holy Virgin and Anba Shenouda, which he established years ago. 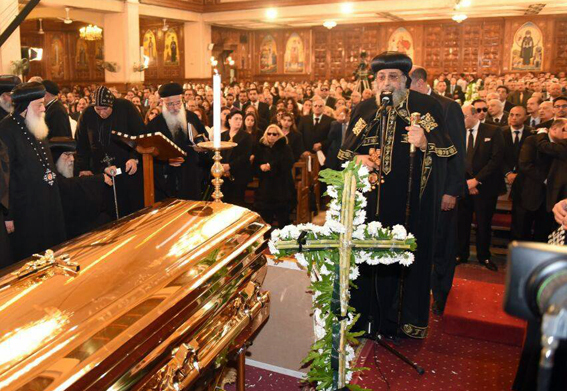 Pope Tawadros II presided over yesterday’s funeral service in Cairo. A number of metropolitans, bishops, and priests attended. Among them were Anba Pachomius, Metropolitan of Beheira and Matrouh; Bishop of Youth Anba Moussa; Anba Yu’annis, Bishop of Assiut; Anba Ermia General Bishop and head of the Coptic Orthodox Cultural Centre; Anba Psenti, Bishop of Helwan and Massara; Anba Marcos, Bishop of Shubral-Kheima; and Anba Martiros, Bishop of the Churches East of the Railway. Once the coffin arrived at the church, it was received with a funeral march by the Boy Scout drummers who led the coffin in a procession into the church. Pope Tawadros gave a word in which he described Dr Bassily as a “righteous, pure-hearted man, and a patriot to the core”. He said Dr Bassily was a successful industrialist and businessman who ventured into the manufacture of pharmaceuticals, becoming a role model of perseverance and innovation. He also was an active MP who gained widespread respect for his straightforwardness and diligence. The Pope said Dr Bassily had done countless charity works, giving generously and unconditionally, feeling for the poor and vulnerable, and always helping the weak. “I frequently dealt with him and his family, and thoroughly admired his viewpoints,” Pope Tawadros said.